The message from the European Investment Bank to European governments is clear: either start prioritising investment in infrastructure, or Europe’s long-term economic prosperity and competitiveness will suffer. In the decade since 2008’s global financial crisis battered the world’s economy, the investment recovery in Europe has continued, overall, to strengthen and become more broad-based. However, infrastructure investment still lags behind: a victim, in part, of the decline in government capital spending over the past 10 years. According to the European Investment Bank’s (EIB) 2017/18 report, “From Recovery to Sustainable Growth”, Europe’s roads, rail and bridges are the worst affected by the ongoing lack of investment. Government expenditure in infrastructure in Europe is at a historic, 20-year low – currently a mere 1.8 percent of European Union GDP, down from 2.2 percent in 2009. The general perception – underscored by several dramatic infrastructure failures over the past year – is that Europe isn’t performing the infrastructure modernisation and maintenance necessary to stay ahead of the demographic and technological transformations shaping European economies. Across the EU, the EIB notes that government infrastructure investment saw the biggest declines in countries which already have the strongest quality gaps – thus further slowing down the convergence of infrastructure quality across the EU. Municipalities and other sub-national entities, which account for around 50 percent of infrastructure spending, cite fiscal constraints, the shortage of skilled workers and inadequate levels of administrative capacity as the main roadblocks to more investment and the implementation of infrastructure projects. Public resistance towards new infrastructure projects has also played an increasingly bigger role – examples include legal challenges and delays to the construction of new runways and terminals at hub airports including Heathrow and Munich airports, and lawsuits filed by coastal fishermen to block the deepening of the Elbe River at the Port of Hamburg. The way forward? In recent years, corporate infrastructure investment has staged a post-crisis comeback, and serves increasingly as a key driver of transport infrastructure development across the EU. Although Italy performs slightly better than the EU average in the timeliness of shipments and in terms of the completion of both the TEN-T Conventional Rail and Road Core Networks, its overall transport infrastructure ranks slightly below the EU average, according to the European Commission’s (EC) “EU Transport Scoreboard”. The EC notes that more development is needed, especially for the country’s high-speed rail network. In many cases, private industry is stepping in to fill the infrastructure gap, especially in the transport sector. 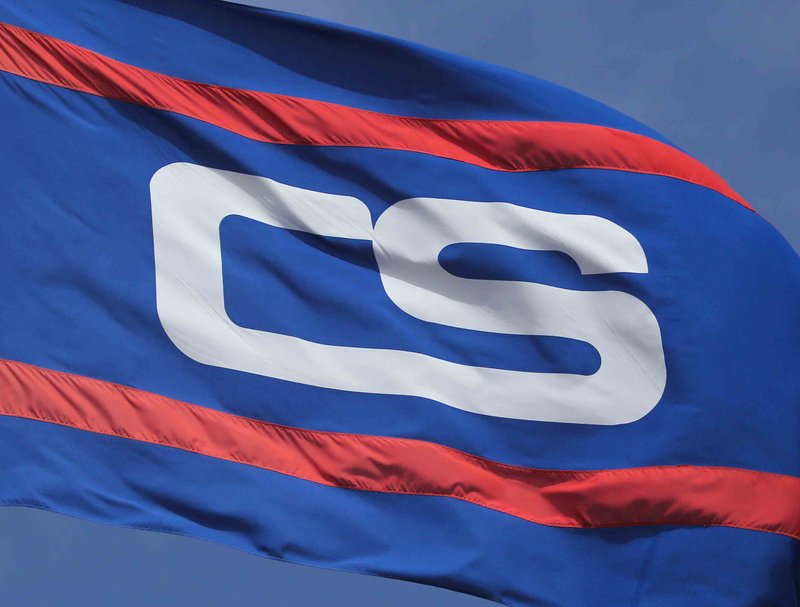 To keep up with current growth and ensure capacity for future expansion, Contship has recently launched two new major infrastructure projects. The first is a 14 million EUR renovation and modernisation of its transhipment hub, Gioia Tauro Terminal in Calabria; the second is a 200 million EUR expansion of its flagship terminal in the Ligurian terminal of La Spezia, which features excellent intermodal links. In addition, Contship now offers daily rail connections between Gioia Tauro and its hub Melzo close to Milano, which enables cargo from the South to travel to numerous locations across the country and in adjacent areas. At its flagship terminal in La Spezia, the Southern Gateway serving global markets from Liguria, Contship already offers a level of rail connectivity – 200 trains a week – that is three times the average for Italian ports. It also boasts some of the most modern intermodal infrastructure in the country: its capacity is 1.4 million TEU/year, and rail freight accounts for more than 30% of the overall throughput. Once the modernisation work has been completed, La Spezia will be able to throughput up to 2 million TEU per year, with a modal split of over 50 percent accommodated to rail. The terminal will be ready to handle 7,000 trains per year. As Europe’s economy continues its post-crisis recovery, companies like Contship Italia are stepping in to fill the gaps in government infrastructure investment. Modernisation and expansion projects, including those in Gioia Tauro and La Spezia, will ensure that the Italian and European transport and logistics industries remain competitive at the global level – with world-class infrastructure and networks that are prepared to take advantage of future growth on the road ahead.